Taking photos of birds is difficult, in my opinion. They don’t like you to move. Getting them into focus is also work. 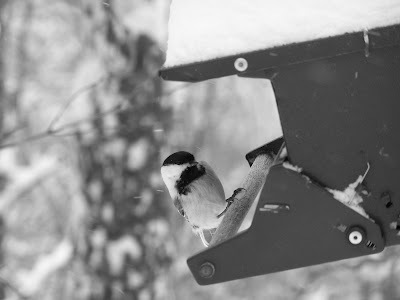 I was lucky this little Black Capped Chickadee posed for me just long enough to get the shot.